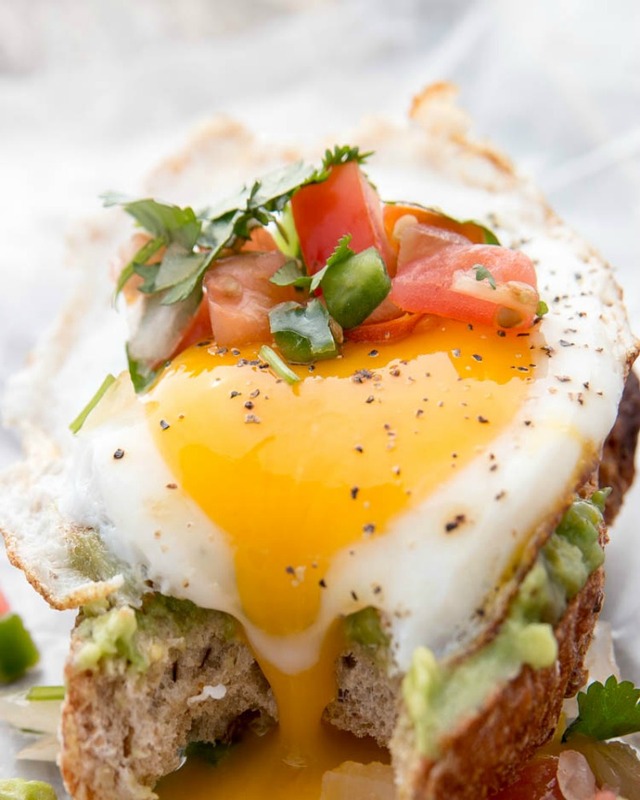 Sunny side up just got even better with this amazing Fried Egg and Avocado Toast. It will satisfy you for breakfast, lunch, or dinner. 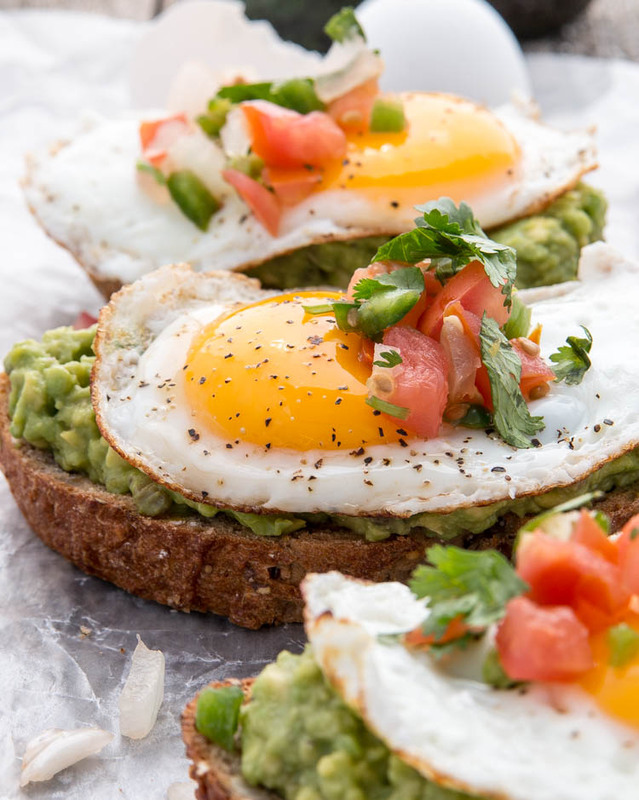 If you are looking for a quick, healthy and easy anytime meal or snack idea look no further than this Fried Egg and Avocado Toast. I love every one of these ingredients on there own, but put them all together on a toasted piece of whole wheat bread and life just got that much better. 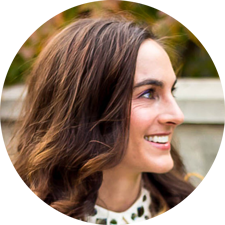 This recipe is so simple and delicious you won’t be able to decide if you want it for breakfast, dinner, or just as a mid afternoon snack to give you a boost of energy to make it through the rest of your day. I haven’t had eggs sunny side up since I was a little girl and I quickly remembered what I have been missing. The eggs are very easy to make and when you bite into them they sort of melt in your mouth. I think the salsa on top really adds that special splash of flavor to bring out a little kick to the milder egg and avocado. 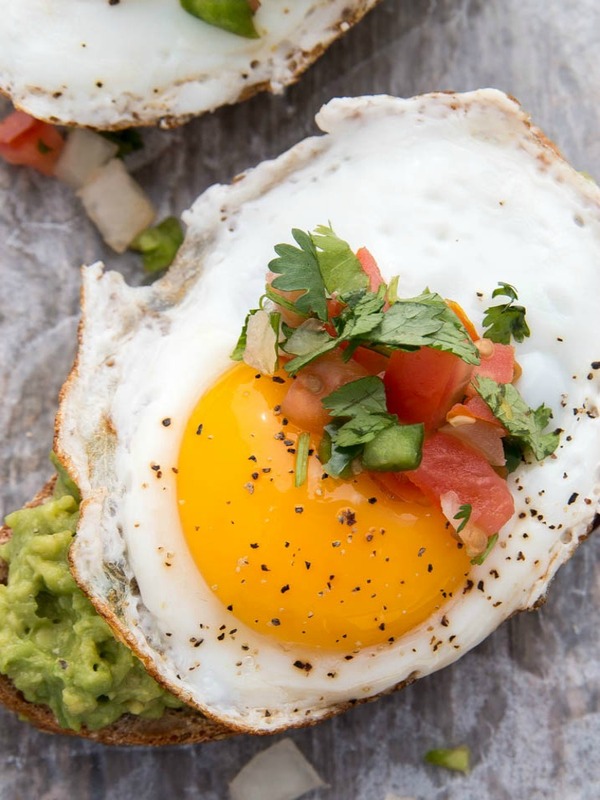 Sunny side up, avocado, and salsa is a delicious breakfast, lunch, or dinner treat. Heat a large nonstick skillet over medium heat. Add oil to pan; swirl to coat. Crack eggs into pan; cook 2 minutes. Cover and cook 2 minutes or until desired degree of doneness. Spread one-fourth of mashed avocado evenly over each toast slice. Top each toast slice with 1 fried egg. Sprinkle eggs evenly with salt and black pepper. 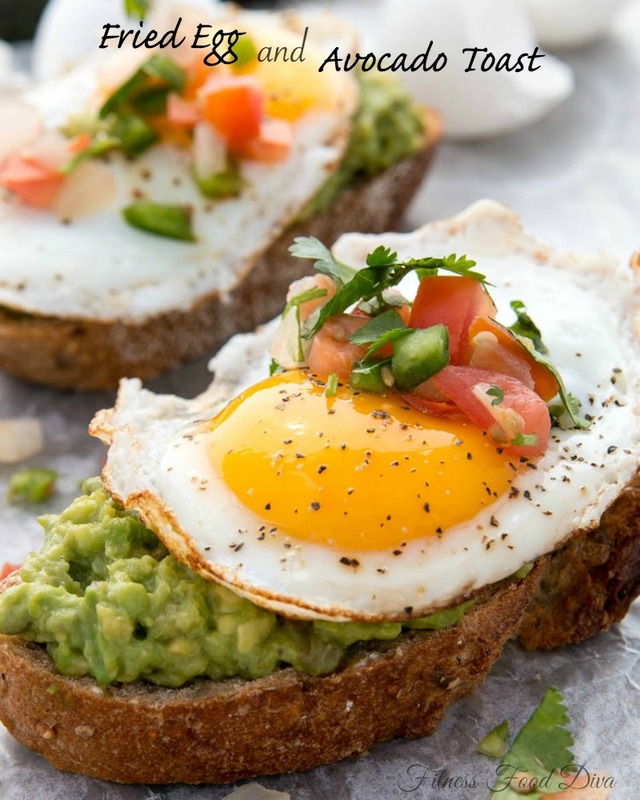 Top each assembled avocado toast with 2 tablespoons fresh salsa or pico de gallo. Enjoy! Just made it for supper, soooo good! Really enjoyed it! YAY!! Thank you so much!! You will LOVE these and they are really easy to make!